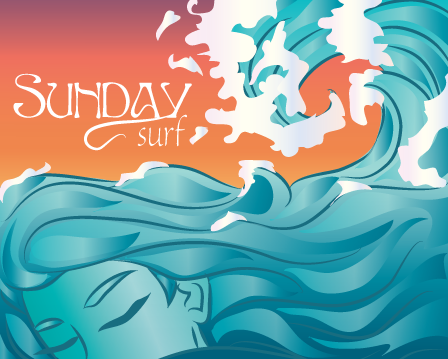 Anktangle: Sunday Surf – Move: Accomplished! Sunday Surf – Move: Accomplished! Every time I move, I discover something while packing that I didn’t realize I had. (Does this happen to you? Maybe I’m the only one who doesn’t have full awareness of the contents of my living space.) This time (among other things) I was surprised by the vastness of our dental floss collection. I didn’t count, but you can see that there’s no shortage of oral hygiene products in this household! We even have oddball dental floss flavors, including bacon and cupcake. If I wasn’t such a hoarder, I might get rid of these, but I can’t bring myself to this time. I am making progress with my hoarding, though: after bagging up the dental floss (to keep), I Freecycled two large bags of other toiletries and feminine hygiene products, all of which went to a women’s shelter. It does feel good to get rid of things sometimes! What’s the weirdest or funniest thing you’ve found while packing to move? I can’t wait to hear your story! Thanks to two lovely guest writers, Dionna of Code Name: Mama and Jorje of Momma Jorje, for providing excellent posts this week while I was busy organizing my dental floss collection packing and preparing to move. Dionna wrote about navigating challenging moments with little ones—without tearing them down in the process. Jorje wrote about getting to know her son Spencer (who has Down Syndrome) and the ways in which he does and doesn't fit the DS label. I hope you'll visit both Dionna's blog and Jorje's blog to show them some kindness for being so generous to me! I know we've all been there, but what we do with it is the important part. This post from Amanda at Let's Take the Metro sets an excellent example for the rest of us. Thank you, Amanda! Great article from Code Name: Mama recounting two vastly differen nursing in public experiences she recently had. Most of my NIP experiences were totally uneventful, with people not noticing or not saying anything at all. That didn’t take away from the fear I’ve had that someone *will* say something, or that I’ll have to defend myself, so I tried to give myself a pep-talk about it when I was feeling particularly concerned about a reaction. It’s sad that we still do have to talk about this and advocate for ourselves, that this IS still an issue. But we do, and it is. "You are beautiful. You are valuable. You are enough." Yes! Loved this post from Arwyn which answers the question, "What do you do?" Thanks to Moorea of Mamalady for introducing me to this blog! Milk Junkies is written by Trevor, a trans father who breastfeeds his son (with the help of a SNS). This particular post about attachment parenting drove home the belief I already had that the emotions and experiences of parenthood are largely universal. I really appreciate Trevor's willingness to write so openly about his breastfeeding and parenting journey! Has your child ever been excluded from play with other children? How about by one of the other parents? Amy of Toddler in Tow recounts a painful story of this happening to her daughter, and she'd love input about how to keep calm and collected in similar situations. Curious about unschooling? I love this post from Lauren of Hobo Mama which explains how unschooling really isn't radical at all: it's what you and I do every day! I wrote about the fertility awareness method of preventing or achieving pregnancy at Diary of a First Child this week. If you've ever been curious about this totally natural, non-invasive and non-hormonal birth control option, head on over there and read all about it! I detailed how to track and chart basal body temperature and cervical mucous to know when you're ovulating, as well as my personal experiences with this simple and effective method. What have you read lately that I shouldn't miss? While reorganizing our pantry recently, I discovered that I was still hanging on to a package of powdered vanilla I had purchased to bake with in Russia in 2006. This means that not only did I feel the need to transport the stuff with me from Russia back to my home in Colorado, but that it also moved with me from one side of downtown Colorado Springs to another, and then to Austin (I sold all my furniture, but kept the vanilla?! ), and finally to Guam where it sat on a shelf for two and a half years before I admitted that we should probably toss it out. Thanks for the mention. Um, I did have a Tamagotchi for YEARS. I'd always stumble across it when I moved. I had even put the battery tab back in it so it would keep. I just had to exclaim. Sam and I were just talking tonight about how we each had won one big carnival prize when we were kids — mine was a big, ugly stuffed monster, and his was an enormous California Raisin (oh, yes) — and how it was so hard for us to let that hard-won but entirely un-useful junk go. We were married before Sam parted with his. I got rid of a ton of toiletries recently on Freecycle, and it felt good. And two bags of pantyhose. Which I never wear. But apparently collect.